The Thompson 840 is the latest addition to the Thompson range of high performance mixer grinders. uction floor space but still want the same high quality mixer grinder that is capable of producing reliable high production outputs and good particle definition of cut. 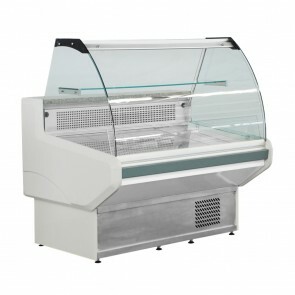 The 840 mixer grinder is available as a conventional freestanding model or where space is very limited as a bench top model. The 840 mixer grinder is a leader in its field and maintains the capacity to mince extremely efficiently with output rates you would only expect of larger machines. It is ideal for gourmet shops and supermarkets that produce quantities of gourmet flavoured sausages in small batches or where tray packs of fresh mince are continually required. 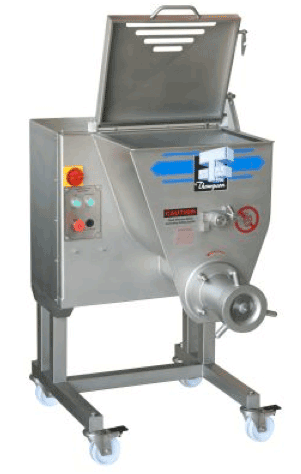 It greatly reduces waste from excess product remaining in bowl or mincing chamber. 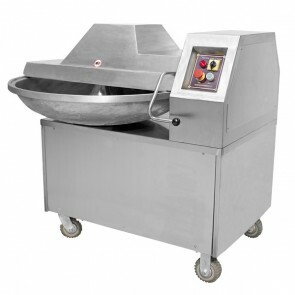 The 840 mixer grinder is a very good option over conventional pedestal style mincers that are hand fed. It offers continuous mincing operation and automatic mixing which greatly reduces labour and improves product quality and yield. Features 3 Kw Helical mince drive delivers a more powerful performance ensures efficient discharge whilst minimizing squashing or pulping of the product. Removable stainless steel mixing paddle enables thorough cleaning and sanitation (quick release, heavy duty) with automatic reciprocating mix operation improves yield and reduces production time. Reciprocate mixing action ensures an efficient mix and dispensation of the product. 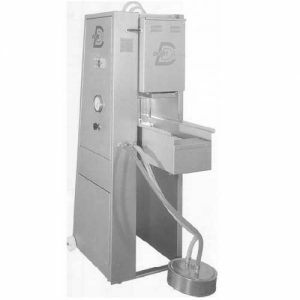 60 Litre (40Kg) batch capacity perfect for mixing and mincing of smaller batches with reduced waste. Safety interlocked lid complete with viewing grills. 32 Series (90mm) cutting head size minces fresh meat efficiently with high definition of cut. High quality 304 stainless steel machine body, barrel, feed screw, lock ring, mixing paddle.